The EU's semiannual addition to the REACH SVHC (substance of very high concern) list is here. Four polycyclic aromatic hydrocarbons have been added, and after some investigation, we have reviewed the up-trend in infractions. As per the list above, EU countries requesting SVHC additions must submit a dossier per substance which includes alleged uses in the EU. By examining the dossier, we can predict what impact, if any, the SVHC will have to manufacturers of finished goods. The dossier for the first substance [#1: 2,2-bis(4'-hydroxyphenyl)-4-methylpentane)] "suggests the substance may be used in the manufacture of thermal paper". The final substance [#6: 1,7,7-trimethyl-3-(phenylmethylene) bicyclo[2.2.1]heptan-2-one)] is an already-banned ingredient in sunscreen. However, neither dossier instills a large degree of confidence that the substances in question are a widespread problem in supply chains. The middle four substance (#2 - #5), belong to a family of substances referred to as 'polycyclic aromatic hydrocarbons', which are combustion byproducts. In the manufacturing industry, they are used, and are found as impurities in carbon black, which is used as a black pigment, for vulcanizing rubber, and as a UV stabilizer. 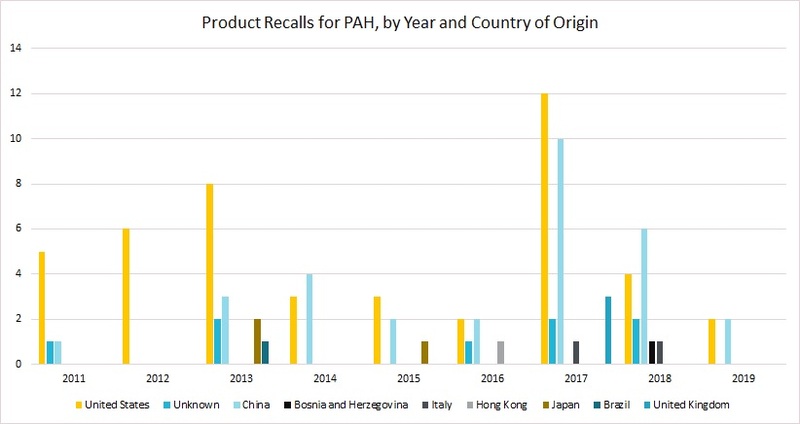 We will now examine PAH non-compliance records by inspecting Product Recalls using the European Commission's "Safety Gate" of consumer product recalls. 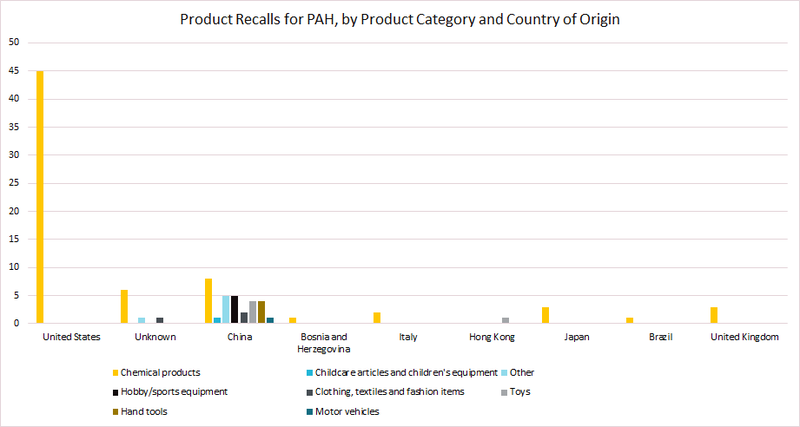 This chart identifies that there is a history of product recalls. PAH have seen sector-specific regulations the EU since the beginning of the records. The 2016 increase in recalls may be attributed to the December 2015 REACH listing. 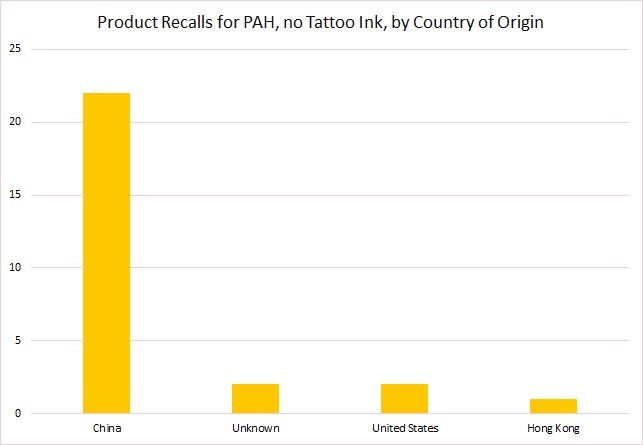 At 97.01%, the "Chemical Products" recalls are almost exclusively tattoo ink, which implies the American product recalls are almost entirely tattoo ink. 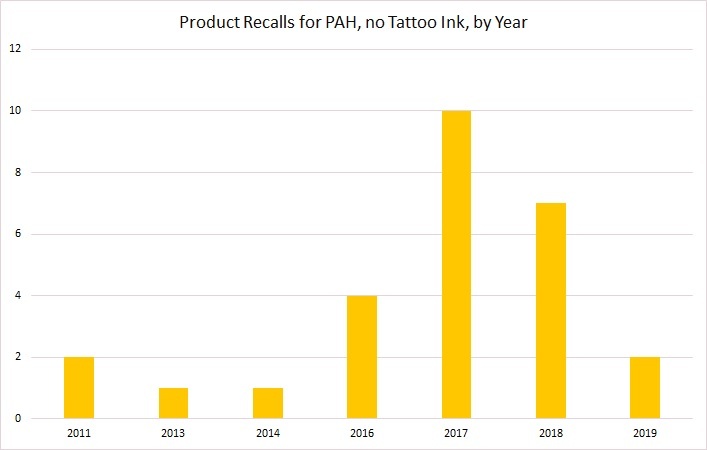 Carcinogenic PAHs in tattoo ink may be of interest to tattoo enthusiasts but can be removed from the enforcement data when discussing finished products. For manufacturers of finished goods, the PAH compliance risk is clearly less than high-risk substances such as lead and DEHP. 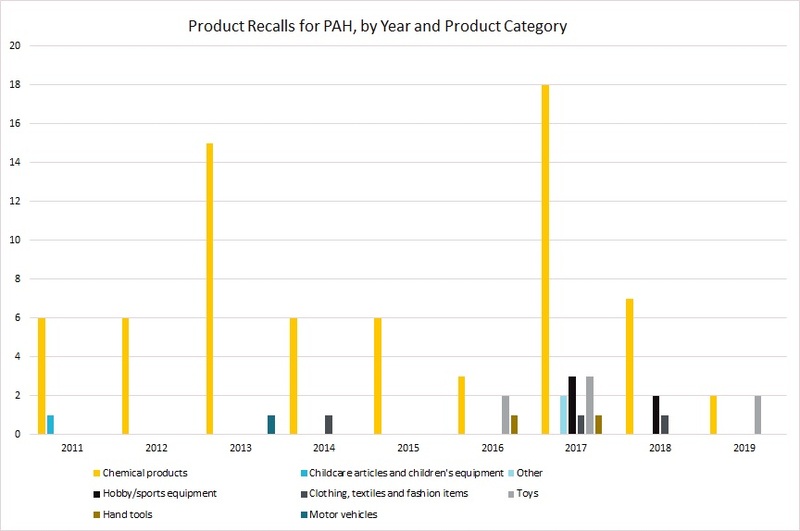 Even considering product recalls as a subset of enforcement actions, the proportion of product recalls attributable to PAH is small. Nevertheless, manufacturers of articles need to take note of the new PAH SVHCs and adjust restricted substance lists accordingly. These substances can find their way into supply chains from time to time, and enforcement has increased in recent years. 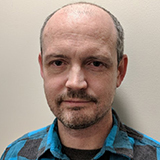 Ian Smith has been producing Material Science and Data Science solutions to Regulatory problems for over ten years. His customers manufacture products ranging from IT Equipment and Medical Devices to Toys and Sporting Goods, and can be affected by California Proposition 65, EU REACH, global RoHS regulations, persistent organic pollutants, or customer-driven substance restrictions. His evidence-based approach allows manufacturers to prioritize risks based on objective, real-world data, and to direct engineering and test resources in an efficient and cost-effective manner.